Click here to view Anne’s full Masterplan. Raymond Blanc’s 2 Michelin star restaurant & hotel, Le Manoir aux Quat’ Saisons, sits within impressive gardens. A national competition invited designers to enter a Masterplan for a new Heritage Garden to be sited within the kitchen gardens at Le Manoir. The garden will be used to grow & showcase heritage vegetables & to educate people about the principles of organic gardening, sustainability and heritage foods, be they visitors to the hotel or groups undertaking courses on cookery and gardening. I am delighted to have won the competition to design and oversee the implementation and planting of the new Raymond Blanc National Heritage Garden at Le Manoir aux Quat’ Saisons. The superb setting of the garden, at Le Manoir, demands craftsmanship of the highest quality. The brief requires great respect for the environment and also celebration of our heritage. I was very much inspired by the site itself, the shapes, materials and general spirit of the place. I love the honey‐coloured stone contrasting with the warm terracotta tiles and chimneys, the repeating circles seen in the dovecote, path junctions and clipped box balls. Even the church gate helped in the creation of my master plan. 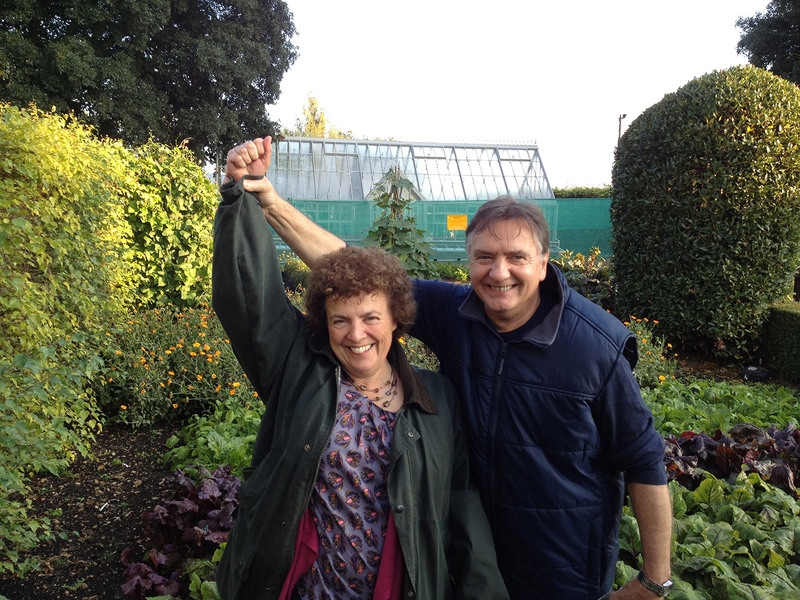 It is particularly exciting to be working on a project that focuses on people, and helping people to learn about our heritage vegetables, and how to grow food in a sustainable way.’ Commenting on the winning design Raymond Blanc said: "Anne's design fully incorporated the new glasshouse as the main focus of the garden. The design is aesthetically pleasing yet practical for the maximum production and display of heritage vegetables which was important to me. I can't wait to start! " Bob Sherman of Garden Organic praised Anne’s winning design: "Her design was inventive, creative and relatively straightforward in the sense that it would not be complicated to put together and very manageable once completed as a garden." The completed garden is due to be opened in June 2014.